Spring is here! It's a cheerful time of the year and time to refresh your wardrobe. Winter is over and it time to let go of darker colors and embrace more vibrant colors to brighten your mood. This spring, say yes to mixing colors. This is a great time to incorporate color to your work style. 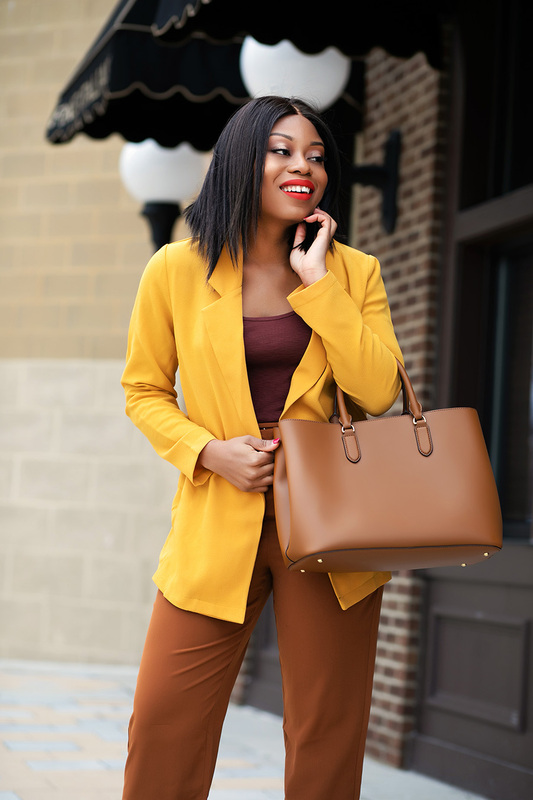 A trendy color this season that you can add to your office look and brighten your style is marigold/yellow. 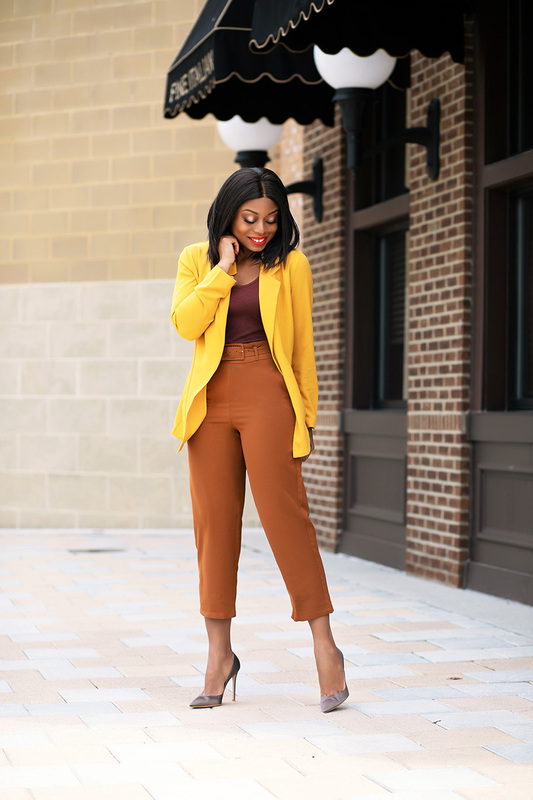 This mustard lightweight crepe blazer is perfect work addition and great transitional piece. 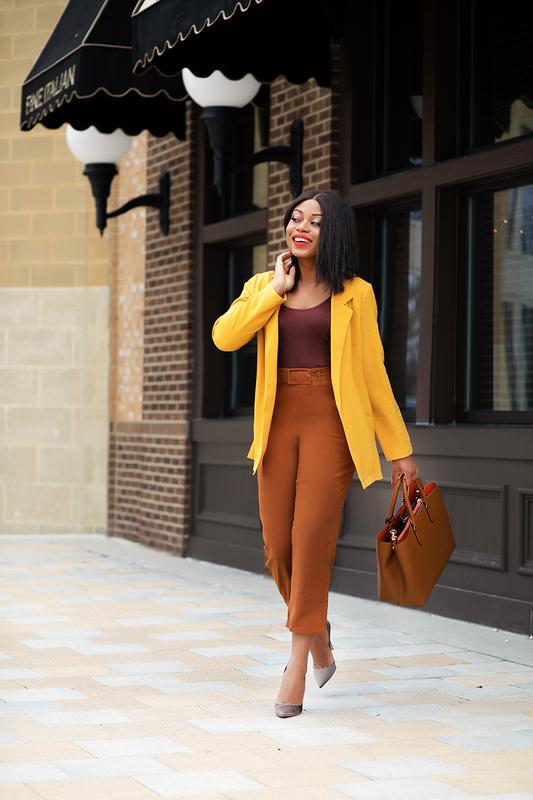 Since the weather is occasionally chilly in spring, a blazer is definitely needed and this blazer comes is 22 different colors at a great price. To brighten your work style this spring, start with a bold color item so as not to overwhelm yourself. This item can either be a blazer, blouse, bottom or accessories. When adding color to work style, I love to start with a bold colored piece and then incorporate warm or neutral tones to complement it. Add a pop of color: It does not have to be head to toe rainbow colors. This can be done by wearing a colored top, blouse, jackets, bottom or shoes. 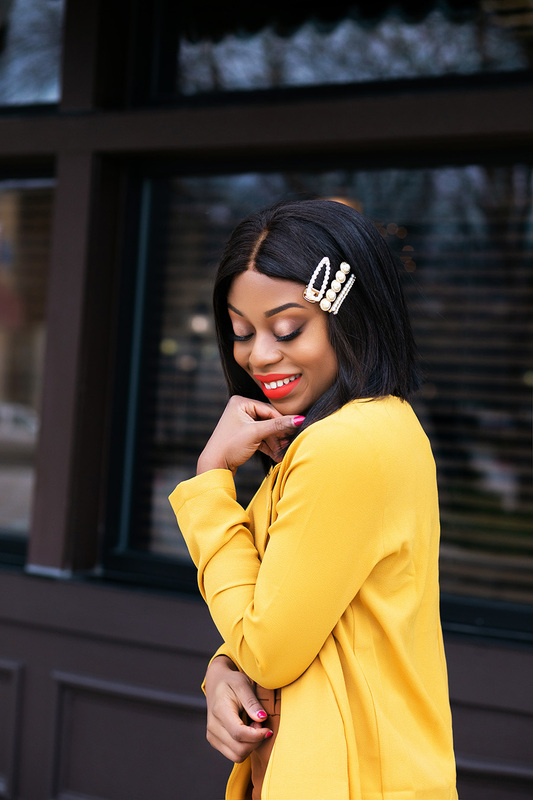 Take advantage of your accessories: If you are not comfortable with wearing bold colors, accessories are great way to brighten your work style. Colorful scarves are spring must-have accessories...think prints and patterns. Brighten your makeup: Go from dark smokey winter makeup to something light and fresh. Update your lipstick with bold colors. OMG, I really love the color. Fresh & Fashion!